This article was first published here on MedPage Today. 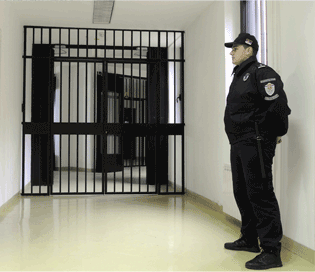 How safe is correctional medicine? People naturally assume that working in a jail or prison is dangerous. “Aren’t you nervous about working there?” they ask me. What people have seen of jails on TV looks pretty rough! After all, that’s where they put the violent criminals, right? The problem is, it just isn’t so! Jails and prisons are not dangerous places to work; to assume so is just one of many misconceptions people have about correctional facilities. In fact, my jail medical clinics have been a much safer work environment than where I worked before. This entry was posted in Jail culture, Med Page Today, Restraint on September 17, 2018 by Jeffrey Keller MD.